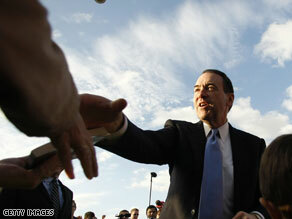 Mike Huckabee tells supporters in a letter they haven't heard the last of him. (CNN) – In a letter to supporters Friday, Mike Huckabee said that despite no longer being in the race, he doesn’t plan on forfeiting his role in political dialogue. So what will his role be? “We are trying to formulate the plans for transitioning into an effort to work to help the cause in this year's elections and then to continue having an impact on policy and issues beyond,” said Huckabee.